Who is likely to be most impacted by the change in the law? "This is going to create quite a compliance headache for smaller online retailers. 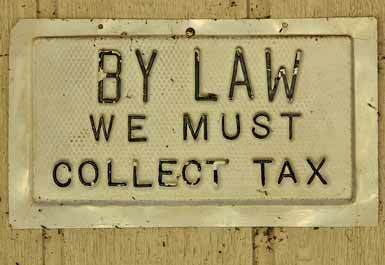 The rules regarding states and sales tax differ greatly from one state to the other. Therefore, the online retailer will have to become well versed in each state's tax rules, which can be overwhelming to a small retailer. Retailers will be required to file sales tax returns in each state (depending on the volume of sales, as frequently as every month in some cases) and remit that tax, creating a compliance headache," says Vince Porter, CPA, at Porter & Company, CPAs. Get solid accounting software. You want to be sure you have the best software to record all of your customers' sales accurately. "It's imperative that online retailers have a reliable piece of accounting software to record sales and sales taxes and jurisdictions of customers. QuickBooks is a great piece of software (at an affordable price) that can track all of this information, including the rates of each state and the collection agent of the state," says Porter. After posting the article to Twitter a company by the name of TaxCloud came to our attention (https://taxcloud.net @TaxCloud) . This appears to be a very useful software for retailers to plug into their shopping carts as it will automatically update shopping carts to charge sales tax based on the jurisdiction of the customer. The online retailers will still need to take care of the compliance piece (filing and paying of the sales tax returns ) but it appears that TaxCloud can make sure the correct tax is charged to the customer on the transaction end of the equation. Emotions add zest to life. They propel us to our feet when our favorite running back scores a touchdown. They warm us at an inspirational concert or movie. But in the realm of business, emotions sometimes hinder good choices. In fact, business owners and managers often let emotions dominate the decision-making process. This is especially true when choices are based on "sunk costs." Broadly defined, sunk costs are past expenses that are irrelevant to current decisions. For example, many firms hire consultants who sell and install software. In some cases, a company is still waiting --three or four years into the contract term -- for a functional and error-free system. Meanwhile, costs continue to escalate. But are those costs relevant? Managers, especially those who initially procured the software and contractor, may reason that pulling the plug on a failed contract would be "wasting all that money we've spent." Not true. That money is "sunk"; it's beside the point. Deciding to continue with a non-performing contract instead of staunching the flow of cash and changing course is irrational. It may be difficult to admit that a mistake was made. It may bruise the ego of the decision maker. But abandoning a failed contract is often the wisest decision. The only relevant costs are those that influence the company's current and future operations. Let's say your firm hires a new salesman. You spend thousands of dollars sending him to training seminars. You assign mentors who take time from their busy schedules to provide on-the-job coaching and oversight. But despite your best efforts, the new hire isn't working out. He doesn't fit your firm's culture; he doesn't grasp the company's goals and procedures; he doesn't generate adequate revenues for the business. As a manager, what should you do? At some point, you may need to terminate that employee and start over with someone else. But what about all that time and money you spent training and mentoring the new salesman? Those costs are irrelevant; they're "sunk." You can't get them back. So the best decision -- as of today -- may involve cutting your losses and starting anew. Other examples of sunk costs may be found in the areas of product research, advertising, inventory, equipment, investments, and other types of business expenses. In each of these areas, companies spend money that can't be recovered, dollars that become irrelevant for current decision making. Throwing good money after bad won't salvage a poor business investment -- or a poor business decision. * Exemptions and your taxable income. For 2012, each dependent deduction is worth $3,800, reducing your taxable income by this amount. In 2013, the deduction increases to $3,900 and is phased out for high-income taxpayers. * Dependents defined. It's impossible to present all of the rules relative to dependents here, since they are so complicated. Generally speaking, if somebody lives with you and you provide more than half of that individual's support for the entire year, there is a good chance that person is a dependent. There are many exceptions. For example, parents don't have to live with you if they otherwise qualify, but some other relatives do. A child of divorced parents doesn't necessarily have to live with the noncustodial spouse for the dependent deduction to apply. * People who can't be claimed. Generally, you may not claim a married person as a dependent if that person files a joint return with a spouse. Also, a dependent must be a U.S. citizen, resident alien, national, or a resident of Canada or Mexico for part of the year. * One dependent deduction per individual. If you claim yourself as your own dependent, anybody else who can truly meet the tests and claim you as a dependent will lose out. This is common for college students who file their own tax returns for their part-time jobs, while mom and dad really meet all of the qualifications to claim the dependent exemption. * The optional deduction for state and local sales taxes instead of deducting state and local income taxes. * The Section 179 first-year expensing option was increased retroactively for 2012 and extended through 2013 at $500,000 for the purchase of new and used equipment. The investment limit is set at $2,000,000. * 50% bonus depreciation, which applies only to new equipment purchases, was extended through 2013. * Both the research tax credit and the Work Opportunity Tax Credit were extended through 2013.